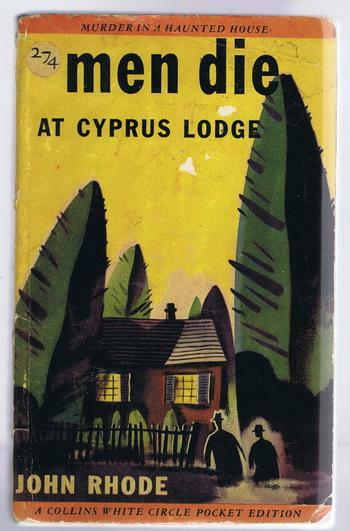 This entry was posted in Brand, Detective fiction, Golden Age of Detective Fiction, Humdrum, Mystery, Novel and tagged Anthony Boucher, Curtis Evans, Dr. Priestley, E.C.R. Lorac, Elizabeth Daly, Ellery Queen, John Rhode, Julian Symons, Major Cecil Street, Ngaio Marsh, Scooby-Doo. Rhode’s readers did, eighty years ago! Of course today few people have the chance to read his books in order, more or less like I did. I’ve been desperate for the estate actually to release all the books as eBooks but to no avail. Dr. P. used to be a lot more active in the series, but after the introduction of Jimmy Waghorn becomes more and more an armchair detective. Jimmy can indeed be a doofus. It’s a problem inherent in the requirement that he not be able to solve the mystery until the end of the book when Dr. P. shows up. Sometimes Jimmy does better, however. I like a lot of the later books, but I do miss the more active Dr. P.
I found myself getting quite intrigued by all the goings-on around the house. I also liked the wartime detail. 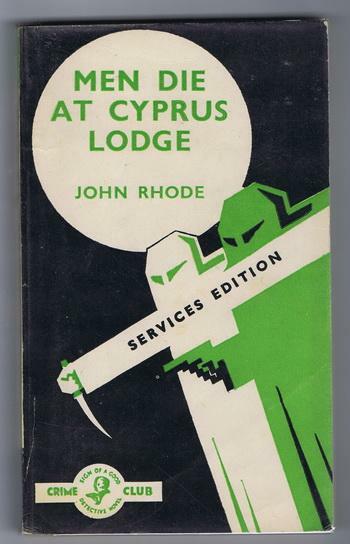 There was another Rhode mystery from this time I recall that had practically no female characters (once set among the Home Guard), but that’s by no means characteristic of the books. There’s a Freeman Wills Crofts that has no female characters at all. I actually thought Dr. Priestley was a bit unfair in this one … he said, “Oh, you should have paid attention to exactly what I said, it was obvious what you should have looked at.” But it didn’t seem to be when he said it … that’s why I thought he was a PITA in the final chapter. I quote an Australian reviewer in the 1950s who at that point hated Dr. P. with a passion and wrote something to the effect of if he was so smart why couldn’t he get off his arse and get involved in the case earlier. I kind of agree, but then, as I say, there would be no Act II and a very small Act III, and the book would be about 90 pages. I like it better this way. It may not all be contributing to the plot very much but, as you say, the wartime stuff is fun to read.